With four doors and five seats, Renault says the Duster Oroch pickup offers a level of space normally found in larger models. PARIS (Reuters) -- Renault unveiled the Duster Oroch no-frills pickup truck aimed at the Latin American market as the automaker bets on resilient demand in the region and hopes to build on the success of its Duster SUV. The vehicle, whose main rivals will be the Volkswagen Saveiro and Fiat Strada, will go on sale in the region later this year. Renault has not yet indicated whether the Oroch will be produced and sold in other markets and has not set any prices for the model. "Latin America is an important market for Renault and today pickups are important in Latin America, so we had to enter the segment," Renault commercial vehicles chief Ashwani Gupta said in an interview. 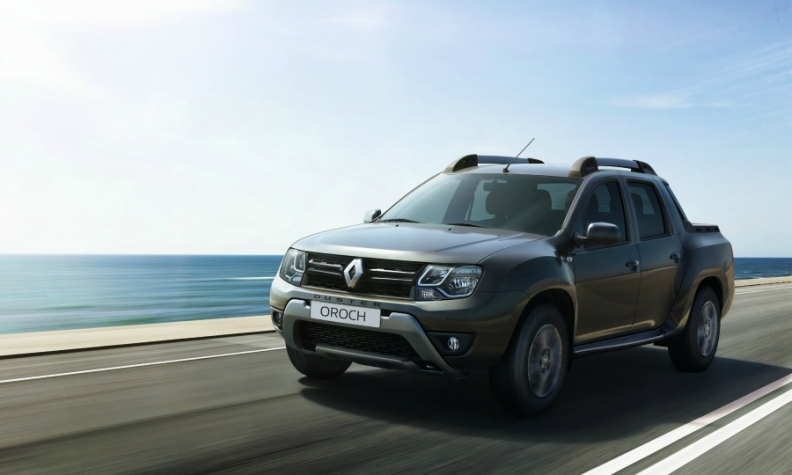 The Duster Oroch was unveiled at at the Buenos Aires auto show on Thursday. It shares its underpinnings with the hot-selling Duster.